Don’t even try to act like you haven't been 'shipping J-Rod super hard since they started dating last February. Even though they've been together for over a year now, we're still hanging on their every interview, picture and social media post. And now that they've celebrated their first anniversary, we're ready to construct a timeline of their love. Ever since they swept the tabloids with their hot summer romance last year, we have been all about this power celebrity couple. 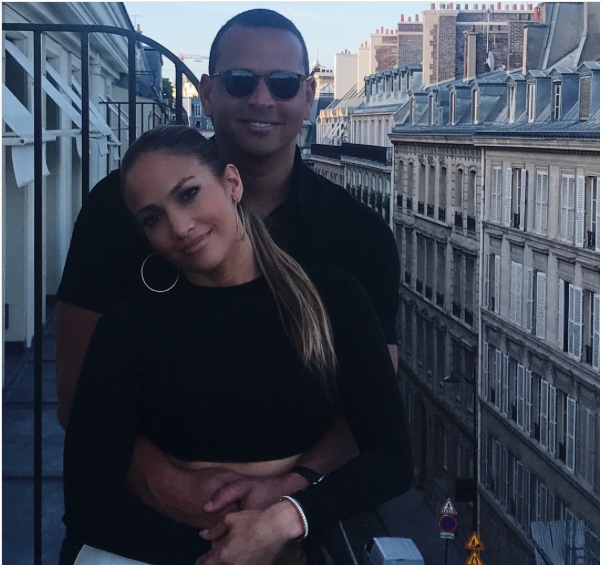 From romantic getaways in France to backyard pool parties with their kids, J-Rod is the hottest couple in the limelight — and their bond seems further and further away from a casual fling with every passing day. The two are reportedly already serious. Like, really serious. Here's a timeline of their romance thus far, from the rumored beginnings to the talk of marriage and even their bumps in the road as a couple. Will an engagement be the next addition to this list? Or are these two headed for splitsville like so many other superstar pairings? A version of this article was originally published in July 2018. Additional reporting by Sarah Aswell. 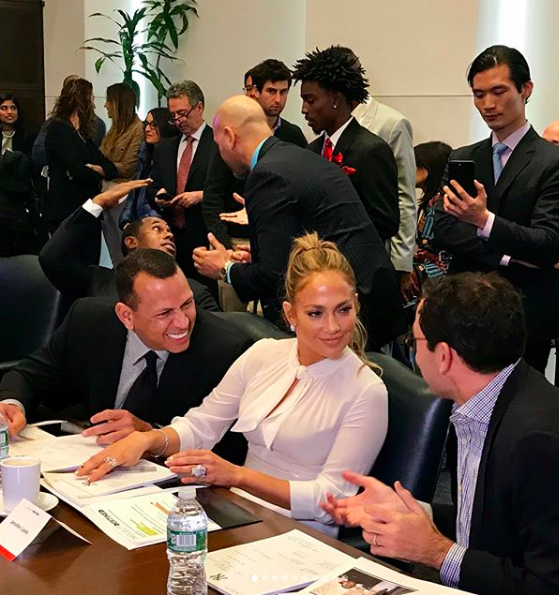 Rumors began swirling that J.Lo and A-Rod were an item after they were spotted in Vegas together. There were plenty of skeptics, though, including us, especially since Lopez had just been linked to Drake. 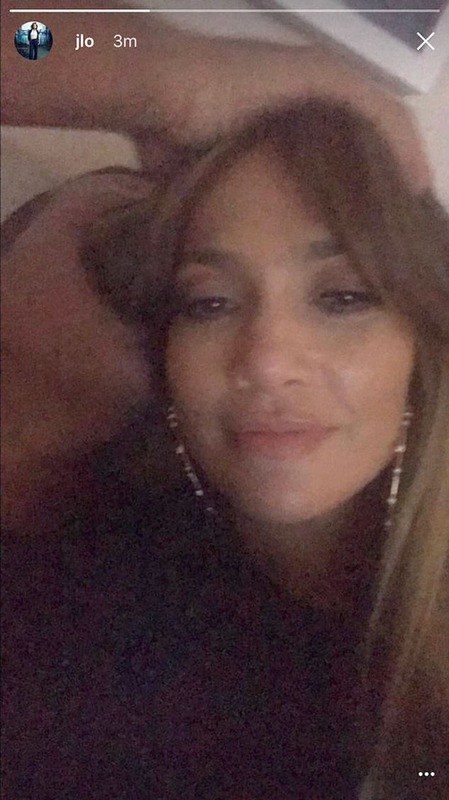 Lopez posted a hot pic of her and Rodriguez snuggling together on her Instagram story then quickly deleted it. The two were enjoying a vacation together in the Bahamas. This is the moment we all realized a true Hollywood love story was developing and the two were dubbed J-Rod, obviously. E! News reported things between Lopez and Rodriguez went "from zero to 100 really quick." The outlet even suggested Rodriguez already has plans to marry Lopez up in the near future. It was already meet-the-family time for the couple of one month. The two were spotted out for a stroll in New York City with Lopez's mom Guadalupe Rodríguez. Lopez also met Rodriguez's sister, Susy Dunand and captured the moment on Instagram. Dunand even reportedly referred to Lopez as her sister-in-law. 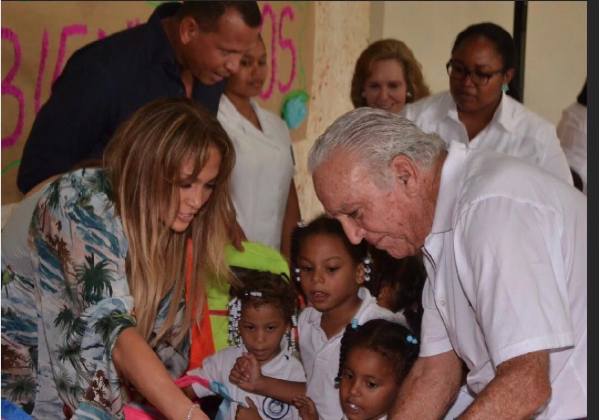 Lopez and Rodriguez flew to La Romana, Dominican Republic, together to deliver school supplies to children in need. A couple that gives together, stays together. J-Rod made their couple debut at the 2017 Met Gala, walking arm and arm down the red carpet and smiling for the cameras in all their glam. Lopez even posted some Instagram pics of the two on their way to the big event and referred to Rodriguez as her "macho bello." 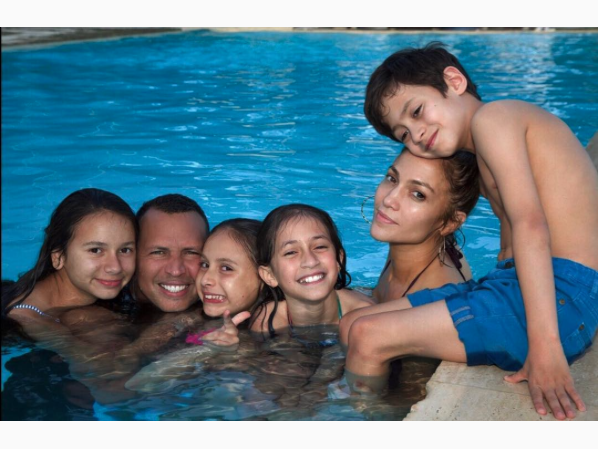 Lopez shared a pool photo with Rodriguez, her twins, Maximilian David and Emme Maribel, 9, and his two daughters, Ella Alexander, 9, and Natasha Alexander, 12. having a #SundayFunday. Not only does this photo make it clear their children have already met one another, but it seems the family gets along well. Lopez and Rodriguez jetted off for yet another couple vacation amidst their crazy careers. This time, they ended up in France. The trip reportedly included a yachting adventure in Monaco, fine dining on the French Riviera and a yoga lesson in St. Tropez. Lopez supported her man on the baseball field and on social media. She gave him shoutouts every chance she got as he made appearances for MLB All-Star Week. A bump in the road for Lopez and Rodriguez… Lopez reportedly hired a private detective to tail Rodriguez after cheating rumors surfaced in the tabloids back in June. Apparently, Rodriguez wasn't pleased at all when he found out. But the couple is reportedly working through their issues. 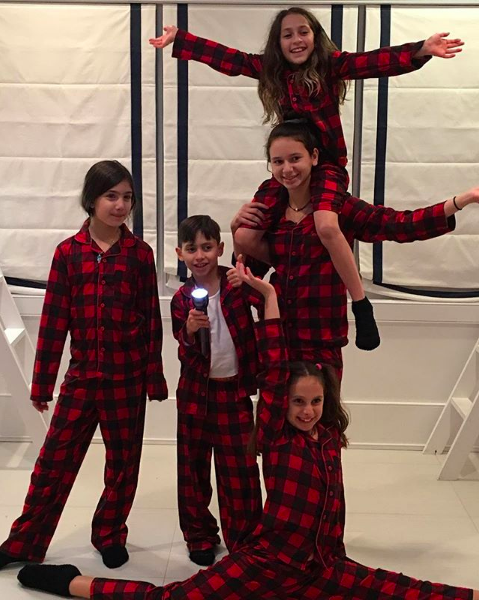 Families that wear matching pj's together stay together — on Thanksgiving, all the kids, plus a cousin, showed some holiday cheer by celebrating together in matching pajamas. It looked like a fun time to us for this blended family. 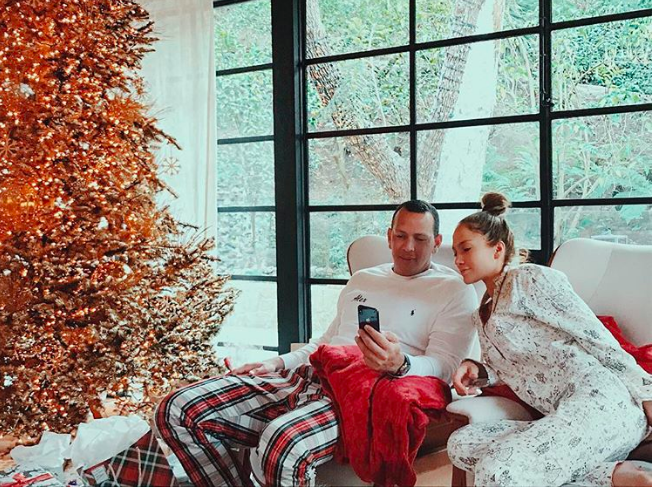 2017 was the first time the couple spent Christmas together, and it looked amazing — cozy but also warm since they were celebrating in Florida. There was time in the pool, an elaborate dinner and, of course, matching pj's and lots of presents for everyone. 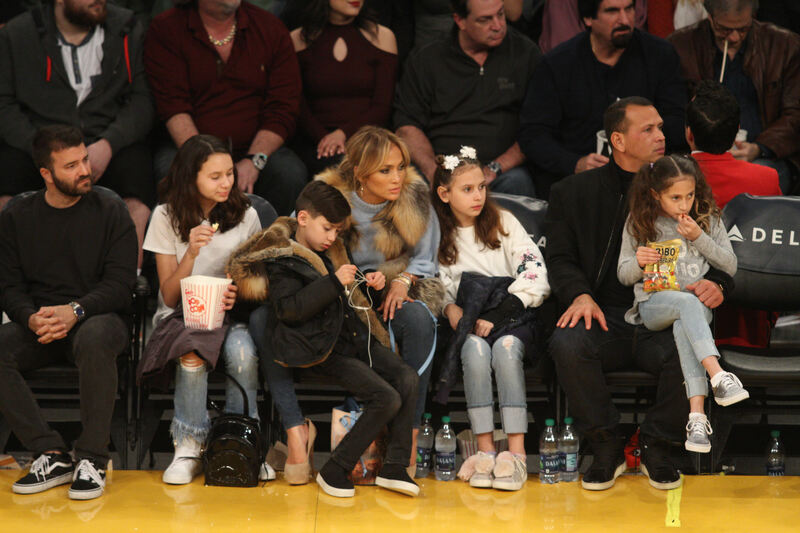 They make an outing to floor seats at a Los Angeles Lakers game, enjoying some basketball and snacks as a big, happy group. The Charlotte Hornets defeated the Los Angeles Lakers by the final score of 108 – 94 at Staples Center, but we're sure they still had a good time. The power couple finds time to give back among all their activities. In January, the Latin couple traveled to Puerto Rico, in part to launch the Puerto Rico Federally Qualified Health Centers Disaster Recovery Fund, but also to visit with the citizens of the island and assess the damage. This trip was in addition to the relief concert the couple put on to help the hurricane victims. 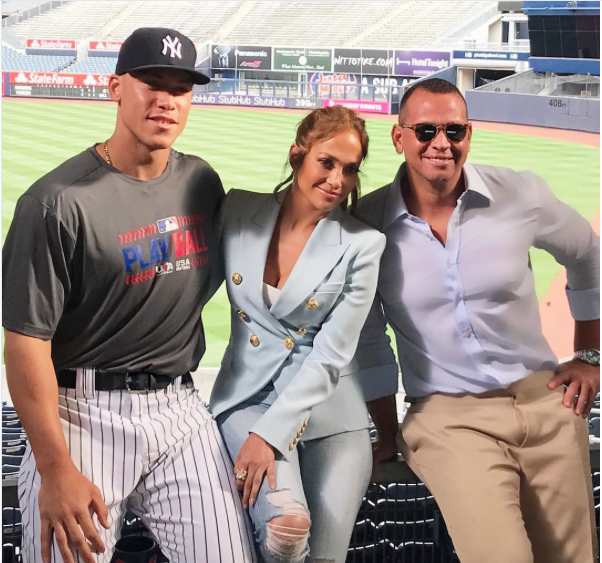 While J.Lo was headlining a special concert for DirecTV, she sang her new single, "Us," and said it was about her and the baseball pro, who was in the audience with his two daughters. The couple did not hit the red carpet for the Oscars but instead donned their best business suits and set out for the Bronx, where they helped underprivileged kids learn about making smart financial choices and investments. After selling off some of their solo properties, the power couple decided to move in together a little over a year after they began seeing each other. Their choice abode? A $15 million Manhattan condo that, at 4,000 square feet, is plenty big enough to happily hold their blended family. A-Rod visited with Ellen DeGeneres and told the story of how he and Lopez met and started dating. 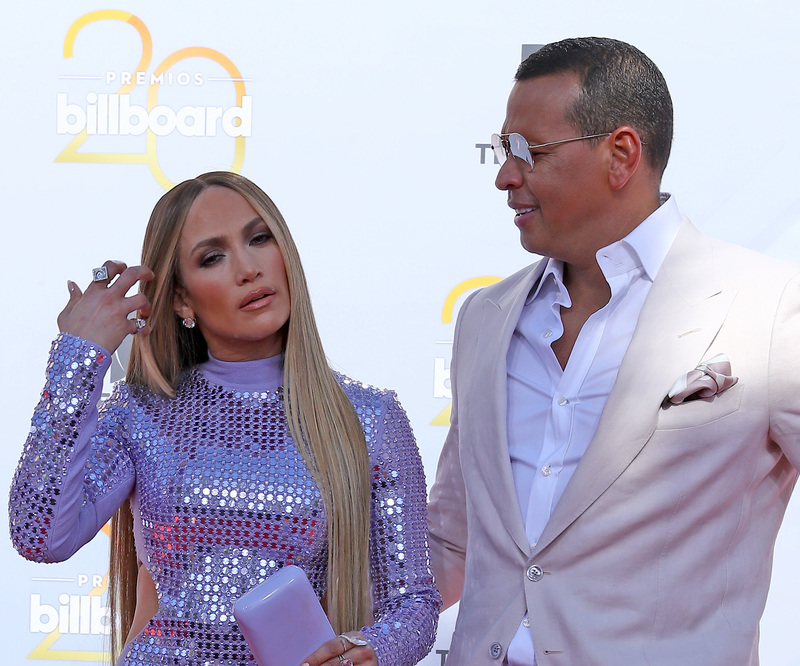 Even though J.Lo is one of the most recognizable superstars around, Rodriguez admits it took him a minute to even place who she was, in part because she was dressed for an acting role. The power couple went to their second Met Gala together, and A-Rod uploaded pics to Instagram of them having a blast all night, including a video of J.Lo dancing at an after-party. Jennifer Lopez visits Jimmy Fallon on the Tonight Show to talk about her latest single and also to talk about her relationship with A-Rod. Her newest song is called "El Anillo," which translates to “the ring" — and are you thinking what we're thinking?